Well, if you haven’t heard, everyone in metro Atlanta is currently buying all the bread, milk, and eggs after hearing the weather forecast for next week. Monday will have a low temperature of FIVE degrees. It’s not that cold today, but I want nothing more than to drink hot tea and slurp hot soup all day. To prep for next week’s possible lock-in during Snowpocalypse Part II, I decided to make a pot of hearty soup that will be easy and quick to heat up for a hot meal. 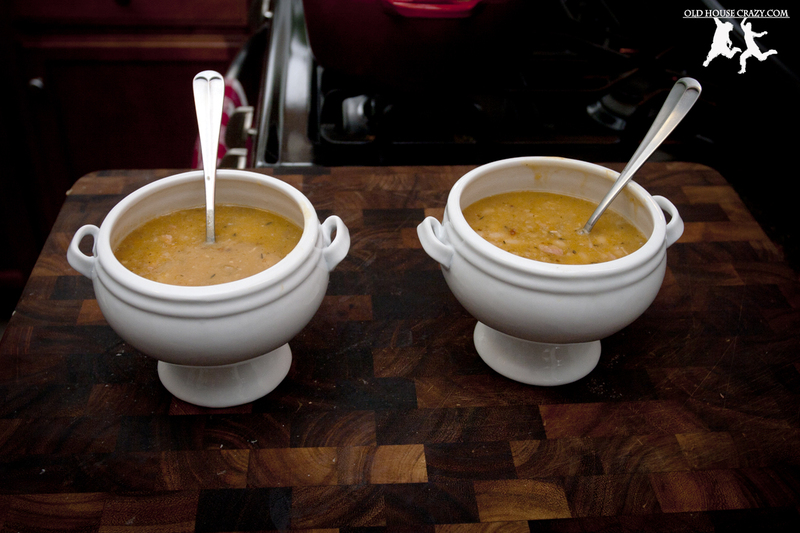 Since we have an abundance of smoked ham in our fridge, I went with ham and bean soup. We already had all of the other ingredients, so this cost us zero dollars today (yeah!). If we had to buy everything, I estimate a total cost of $7-10 to make a pot (about 8 servings). That’s pretty darn inexpensive for a healthy, hearty meal. *I used a homemade venison stock. You could use any homemade or store bought meat or veggie version. 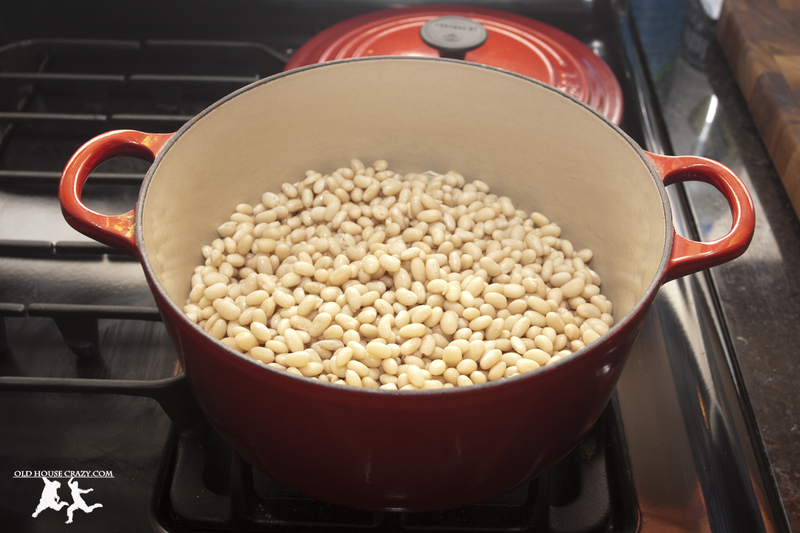 If using dry beans, soak them overnight. Drain in the morning. Add the stock, onion, garlic, and seasoning (to your taste) to the pot, and cook on medium heat for 30 minutes. Depending on how salty your ham is, you’ll need to adjust your measure of salt to get the final taste just right. 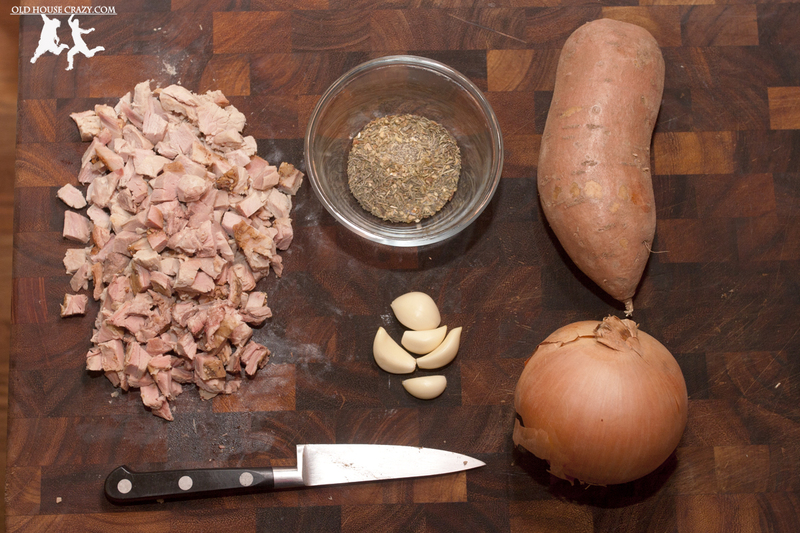 While the soup base cooks, steam or roast the sweet potato chunks to soften them (microwaving in 1/2 inch of water for 5 minutes does the trick). Mash with a potato masher and transfer to a bowl. 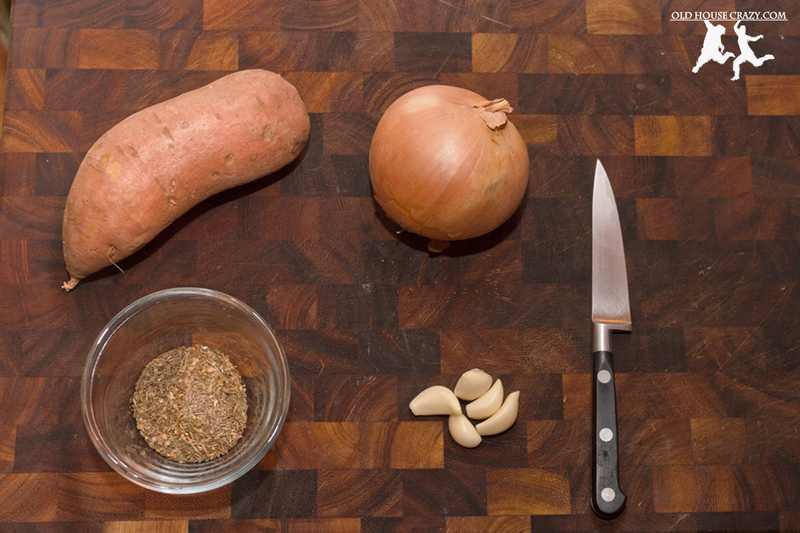 Scoop out about half of the soup base, and add it to the bowl with the mashed sweet potato. Be sure to get an even mix of beans, onion, and broth. 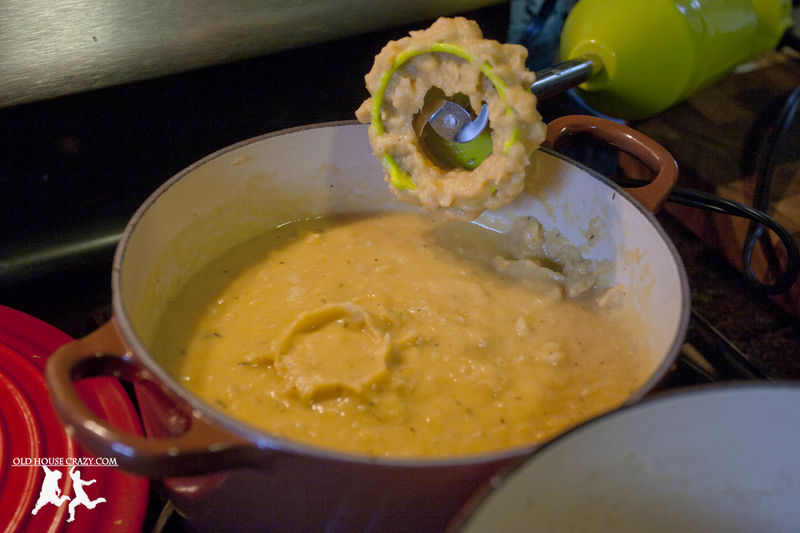 Use the immersion blender to puree the mixture. You may need to add more broth if it thickens too quickly while blending (my immersion blender is temperamental when there’s not enough liquid). Once everything is blended together, add it back in to the pot with the beans and seasoned broth, add in your chopped ham, and allow it to cook together until the beans are softened to your preference. Happy New Year, friends. Stay warm out there! This entry was posted in Better than store bought, Dinner, Food, Healthy Eating, Home made and tagged paleo recipes, recipes, Soup, Winter Meals. Bookmark the permalink.